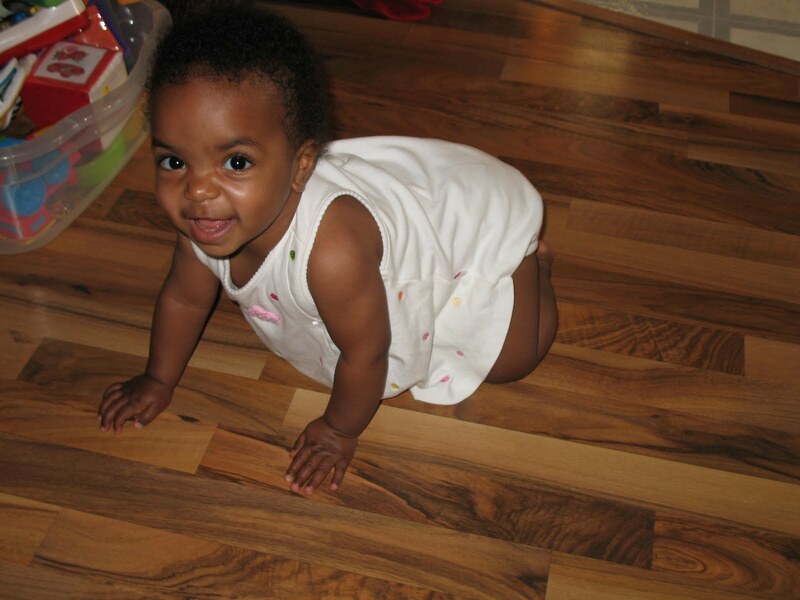 Naomi started crawling a couple weeks ago. 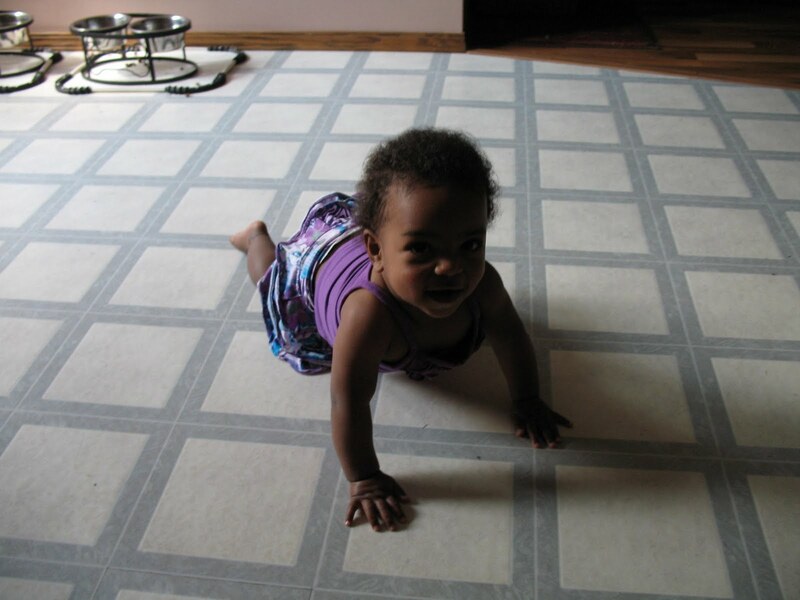 At first it was much faster and easier doing the army crawl, but within a week she was getting around on all fours with ease. This little girl is on the move and she means business. 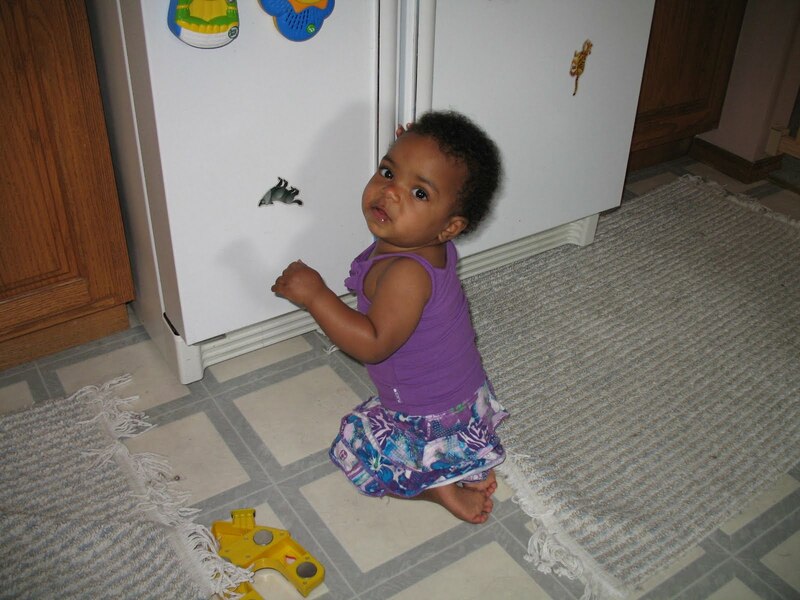 Now she’s trying to figure out how to pull herself up to standing. She pulls herself up to things staying on her knees because she’s a bit too scared to pull herself all the way up to standing, but it won’t be much longer I’m sure. And she’s such a great helper in the kitchen. Seriously she is too precious for words. She is getting so big so fast. I can't wait for the twins, Naomi and Lili to get together and play. Soon very soon. She looks so proud of herself in her new accomplishments! I love seeing pictures of her. What joy she must bring you! Still thinking of you often. That's to cute. Now she will be into everything, he he.She has grown so much over the last few weeks – amazing :-)ENJOY!! she is gorgeous!!! what a smile! My, how she's grown! What a mischievous little cutie. okay, is it me, or is she the cutest little thing ever? I am bowled over every time I see a picture. Cannot wait to see her in person!